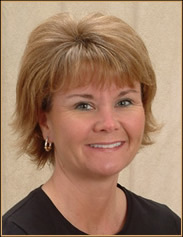 Recently transitioning from our clinical staff to a member of our administrative team, Tina brings over 31 years of experience in dental hygiene to our practice. A member of our team for over 18 years, Tina thinks of our patients as family and is very dedicated to helping them achieve their optimal oral health. Tina is a member of the Dental Development Team for the Community Healthcare Clinic, an organization bringing dental care to the underserved residents of McLean County.